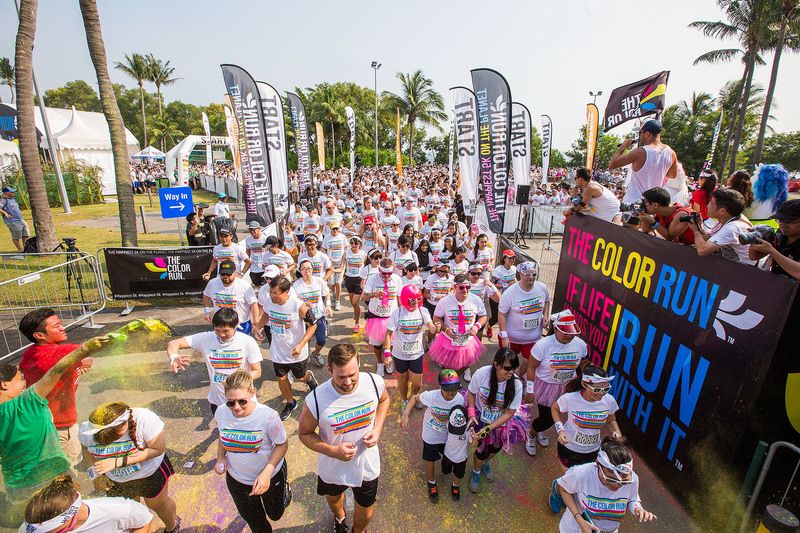 Singapore, 23 August 2014 – The Happiest 5k on the Planet hits Sentosa for this weekend, leaving a trail of bright colors and even brighter grins in its wake. Held on the island for the third consecutive year, The Color Run™ included new “shine” color zones this year, from which the 16,000 runners who participated over the weekend emerged covered in colored glitter powder. 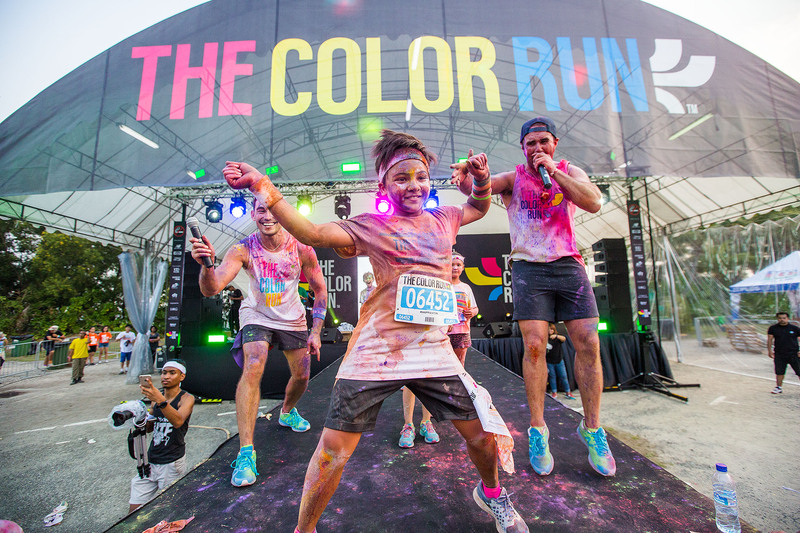 After taking the Color Runners around Sentosa Island on a 5k rainbow tour, the fun continued beyond the finish line, where runners were treated to a music, dance, and colored glitter extravaganza. Since its birth in 2011 globally, The Color Run™ has spread joy to over four million participants in 500 global events. 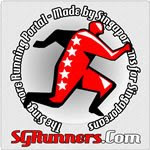 By the end of this year, it will have attracted close to 120,000 color runners in Southeast Asia, where it’s taken cities like Singapore, Jakarta and Kuala Lumpur by storm. Staying true to its nature of giving back to the community, The Color Run™ donated $1 from every registration to the Coalition Against Bullying for Children and Youth (CABCY) this year. 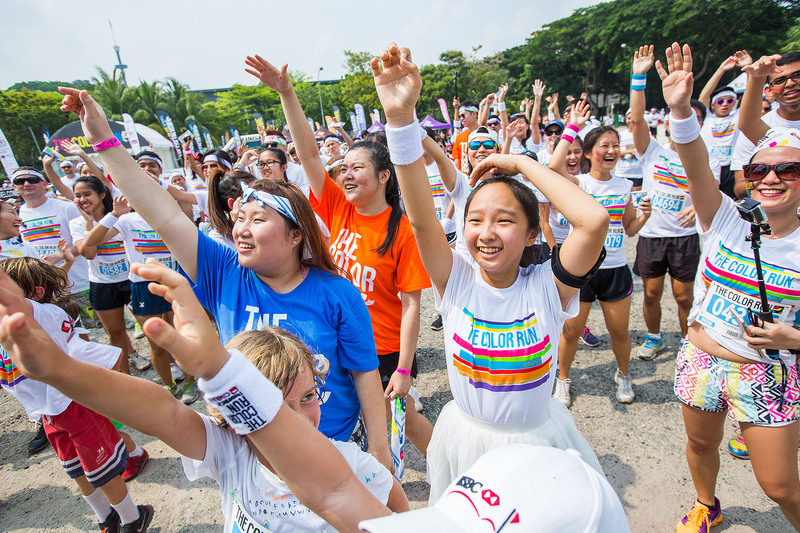 CABCY, a voluntary organization that aims to spread awareness about and fight the different forms of bullying, had a fun treat when they joined in the revelry at today’s run. “We are very grateful to partner The Color Run™ and raise the awareness on the issue of bullying in our society. My team and I had so much fun over the weekend and we can’t wait to add color to the lives of our beneficiaries with this generous contribution,” said Esther Ng, President and Founder, CABCY. “It is always great to see the excitement around The Color Run™ and have participants of all walks of life come together to have fun. We thank all participants for their support and displaying such enthusiasm,” said Robbie Henchman, Senior Vice President, Head of IMG Asia Pacific.